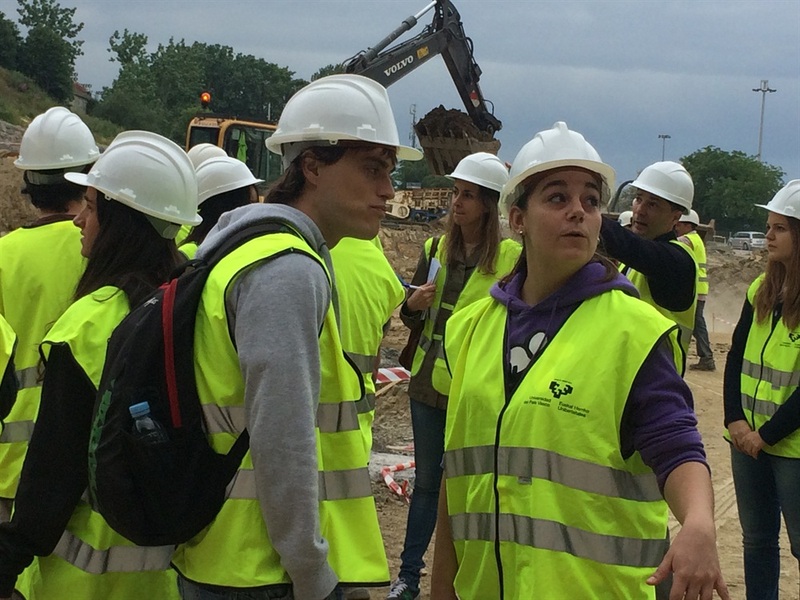 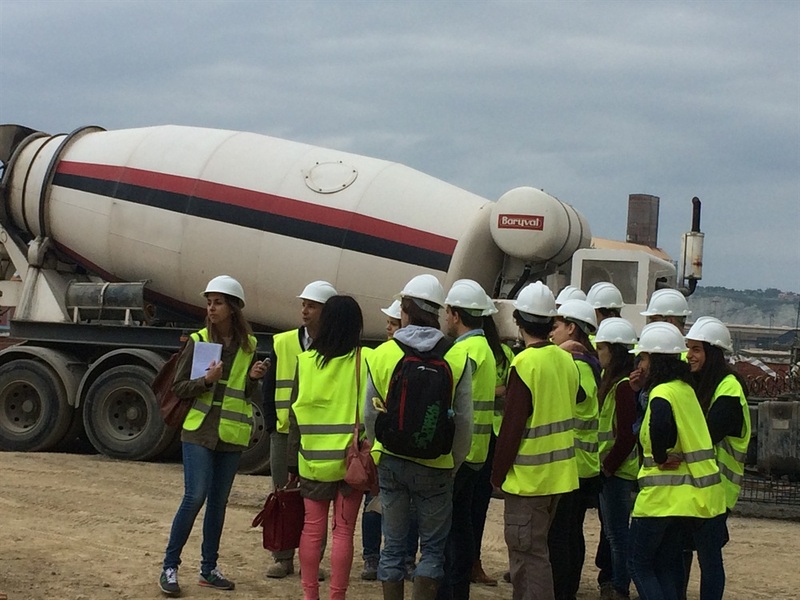 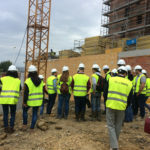 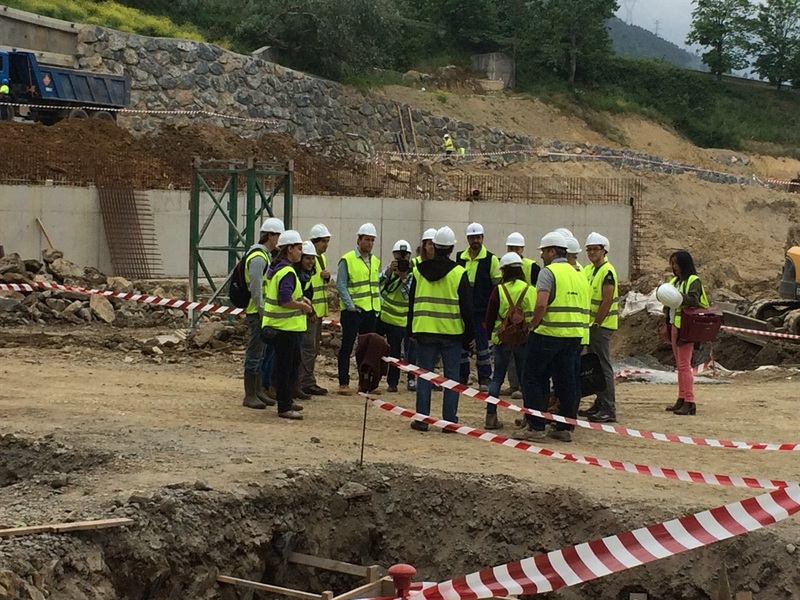 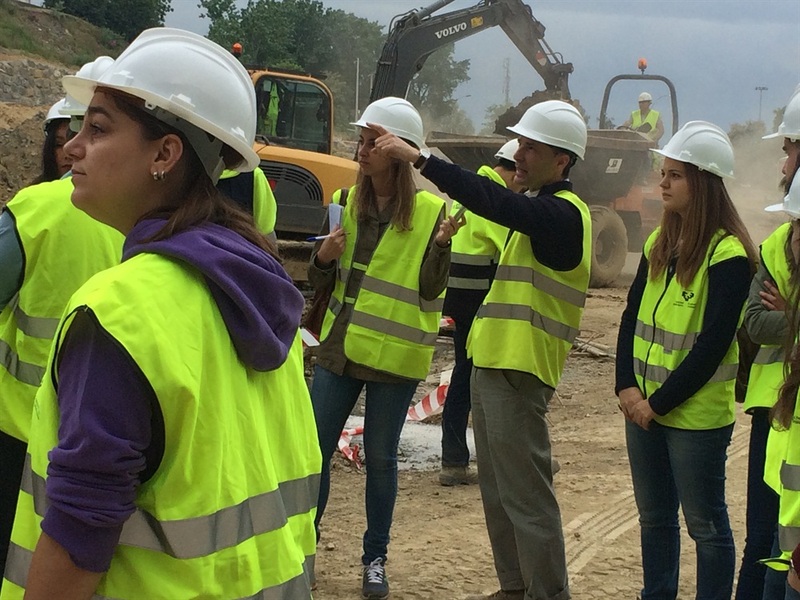 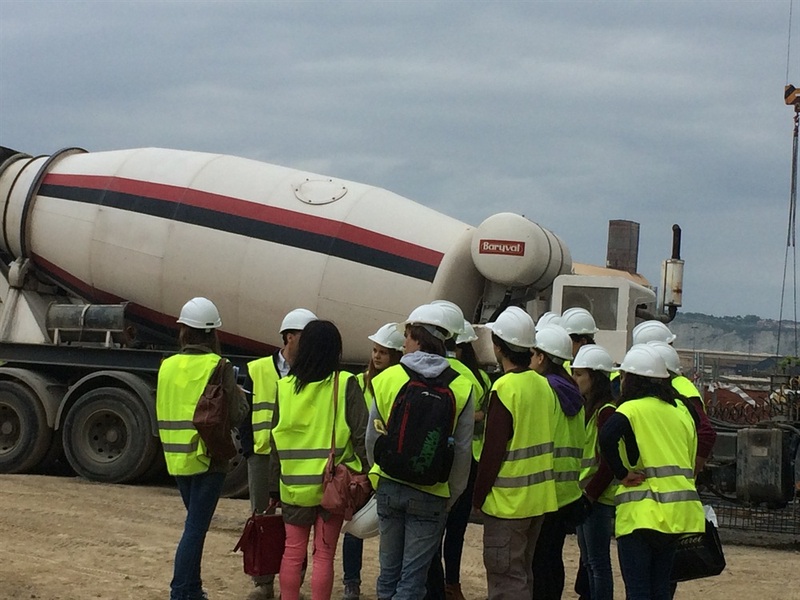 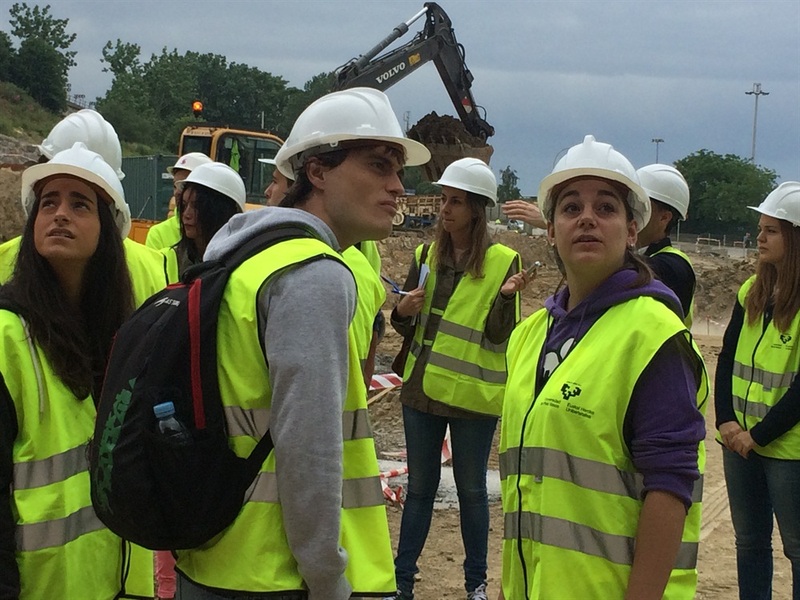 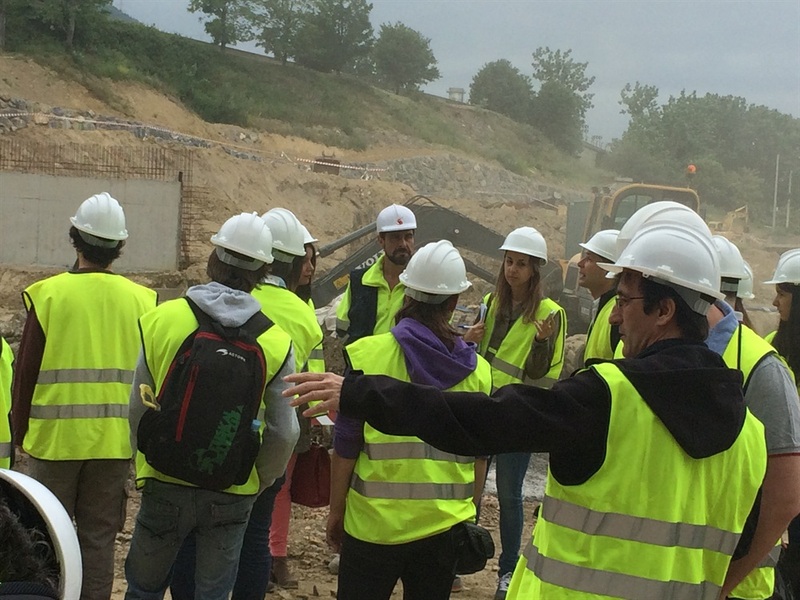 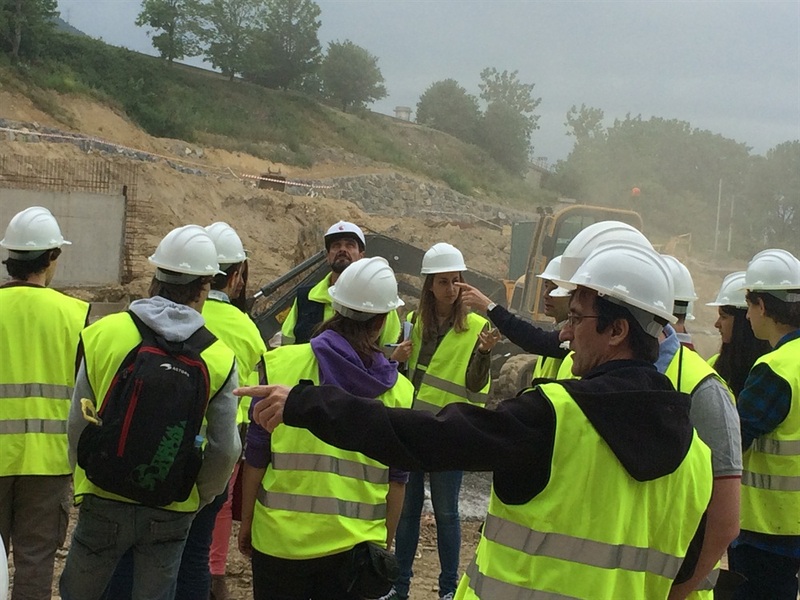 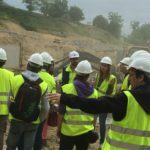 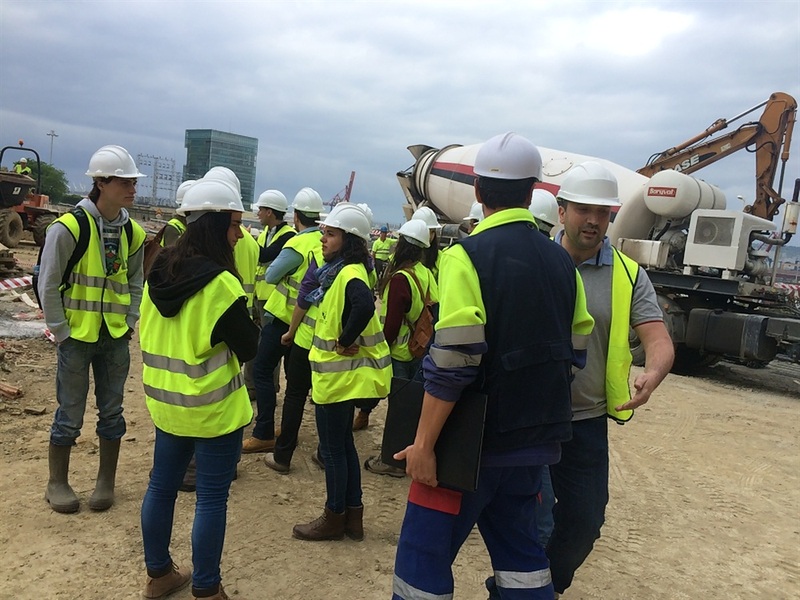 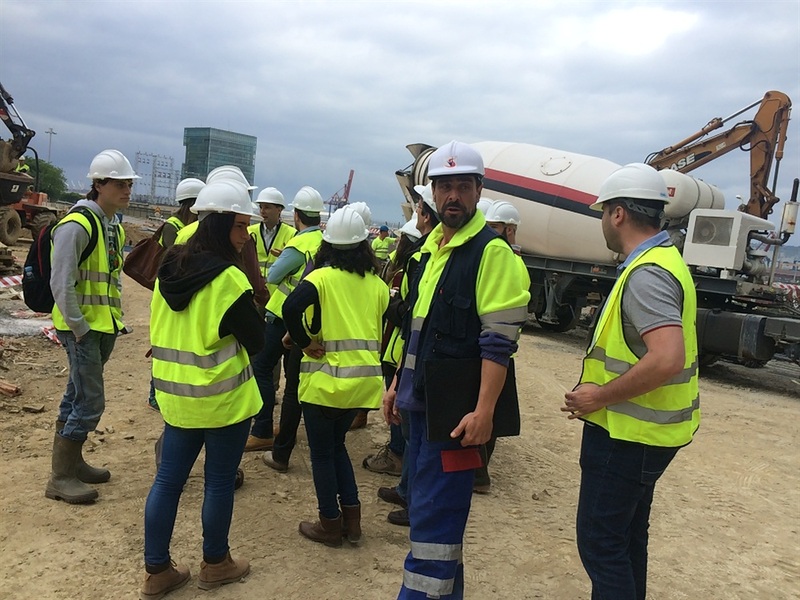 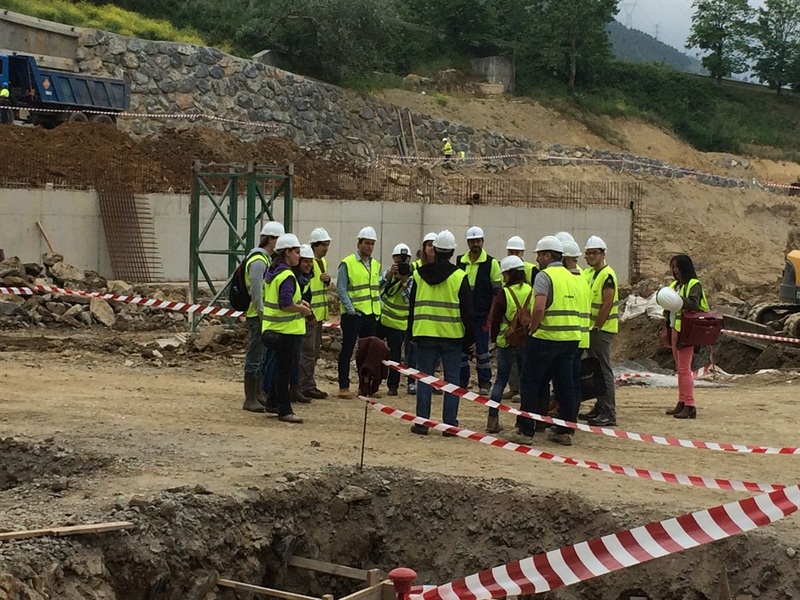 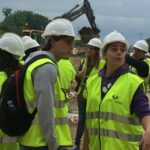 Fifty students from the 3rd year of Degree of Civil Engineering that the Basque Country University teaches in the School of Mining Engineering and Public Works have visited the works of the 2nd phase of the channeling of the Ibaizabal River, which URA is carrying out in the Urbi-Bengoetxe stretch between Galdakao and Basauri. 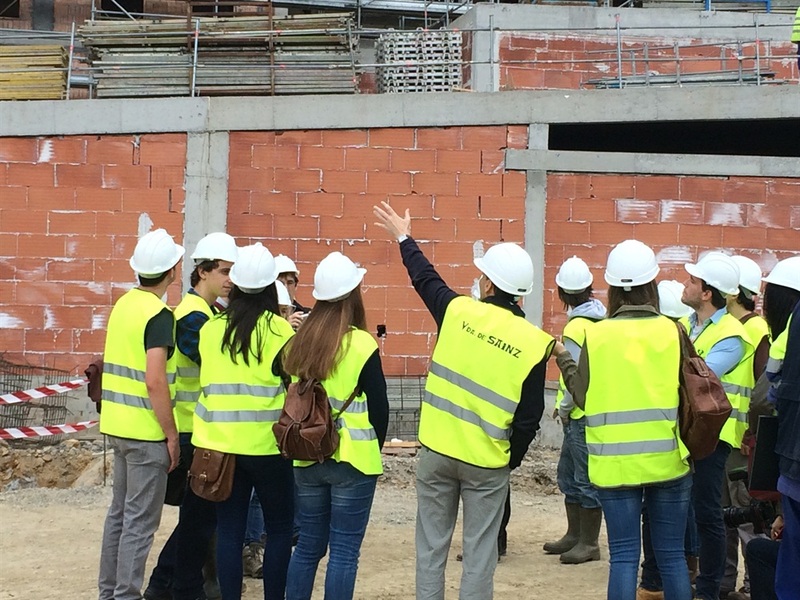 The aim of the visit was to offer the students the opportunity to see first-hand both the construction techniques variables that come together in a civil work of this kind, as the purpose for which they are applied: the defense of an urban consolidated environment, densely populated of the natural recurrence of flooding of a river already generous as is the Ibaizabal. 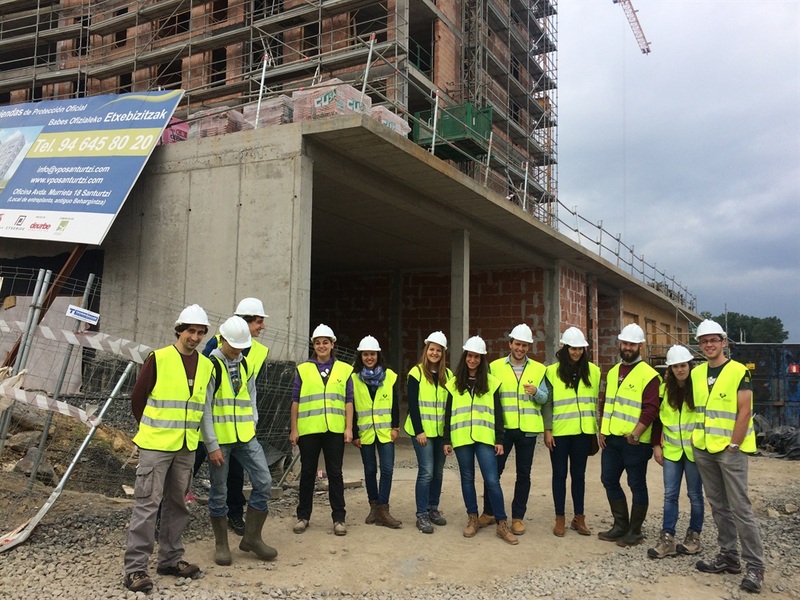 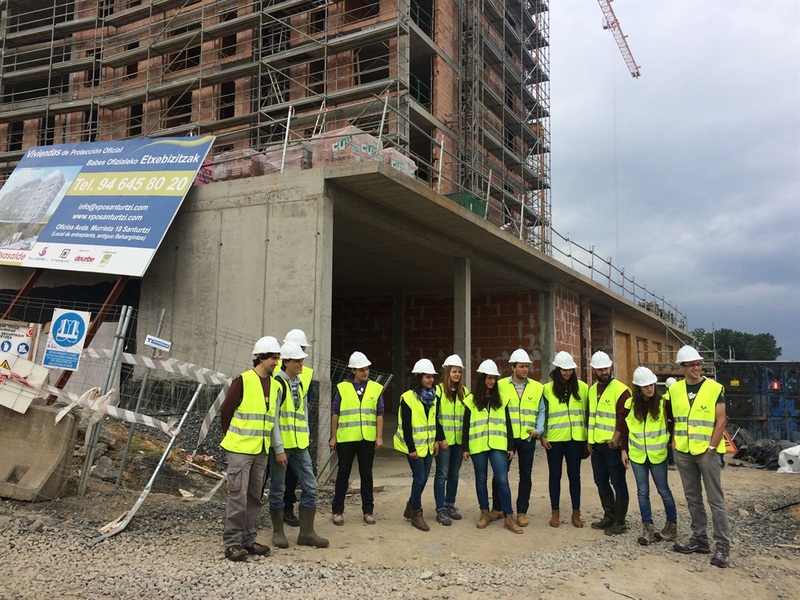 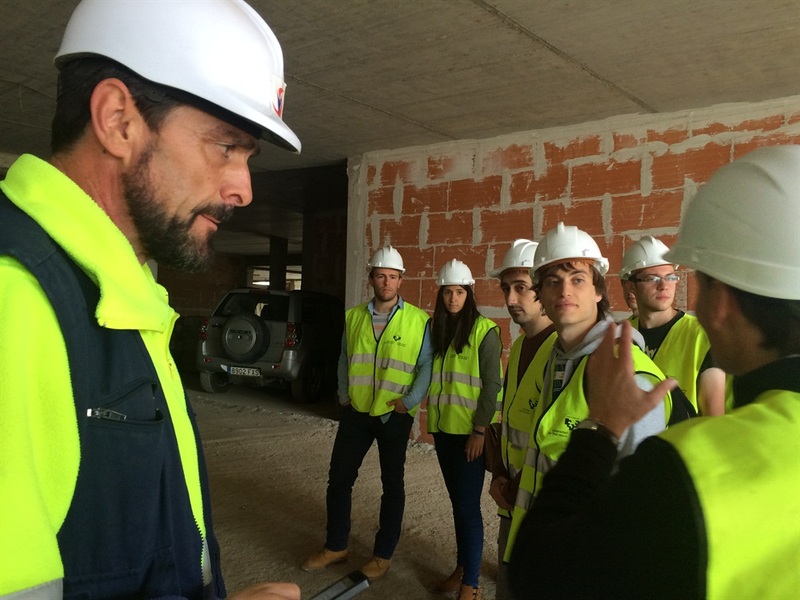 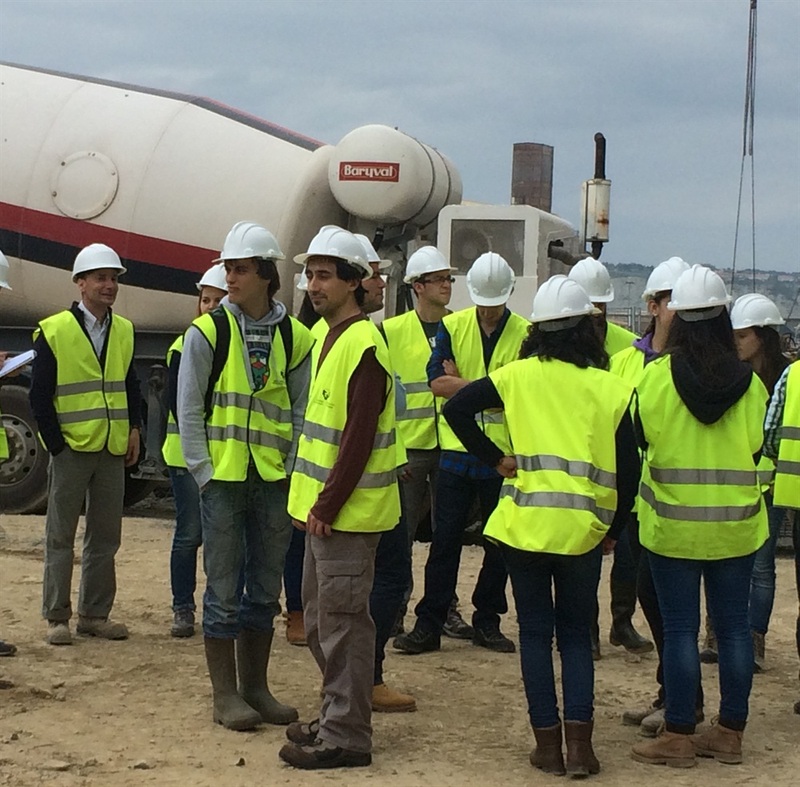 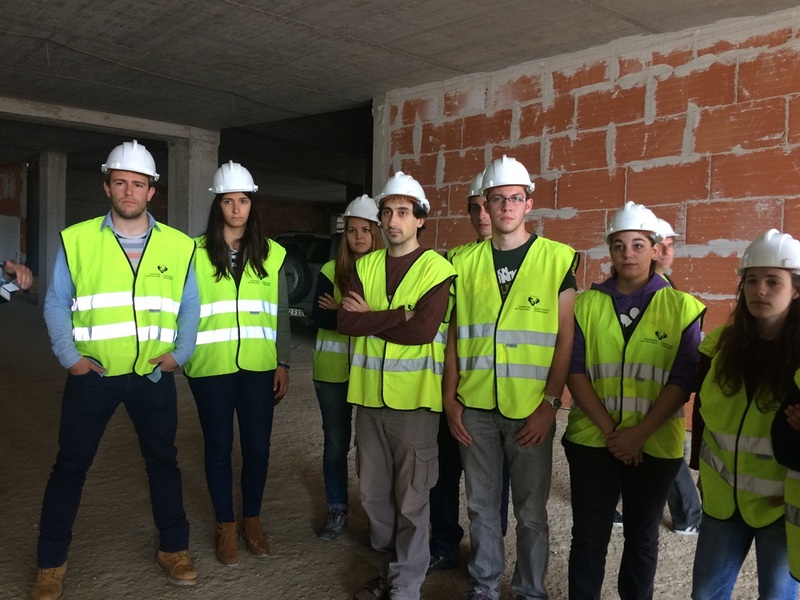 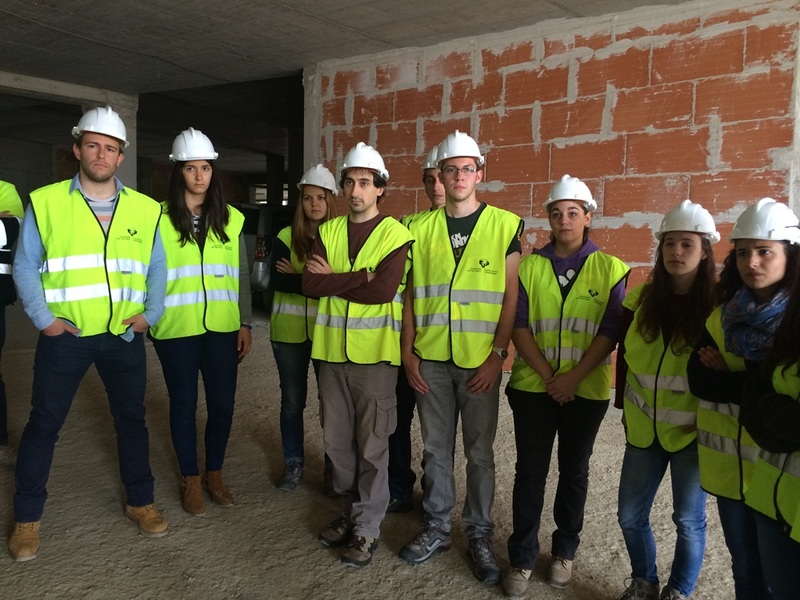 The future engineers of the Basque Country University, accompanied by the Professor Marcos Larrauri, have been welcomed and guided by the head of the Territorial Office of the Western Cantabrian Basin of URA, Maria Esther Solabarrieta; the director of the work Alvaro San Cristobal, and Eduardo Miguel, representing Viuda De Sainz the company that is carrying out the work. 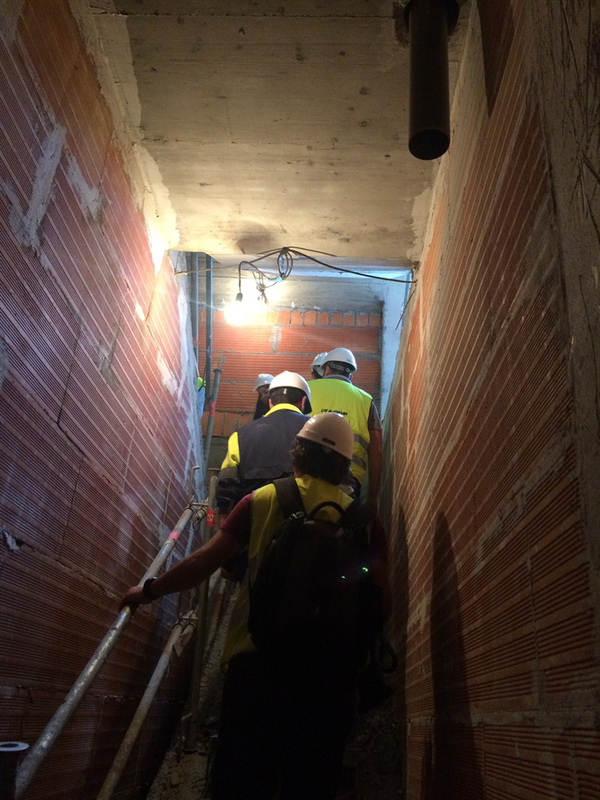 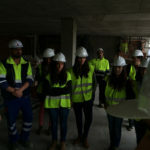 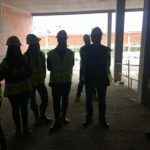 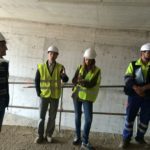 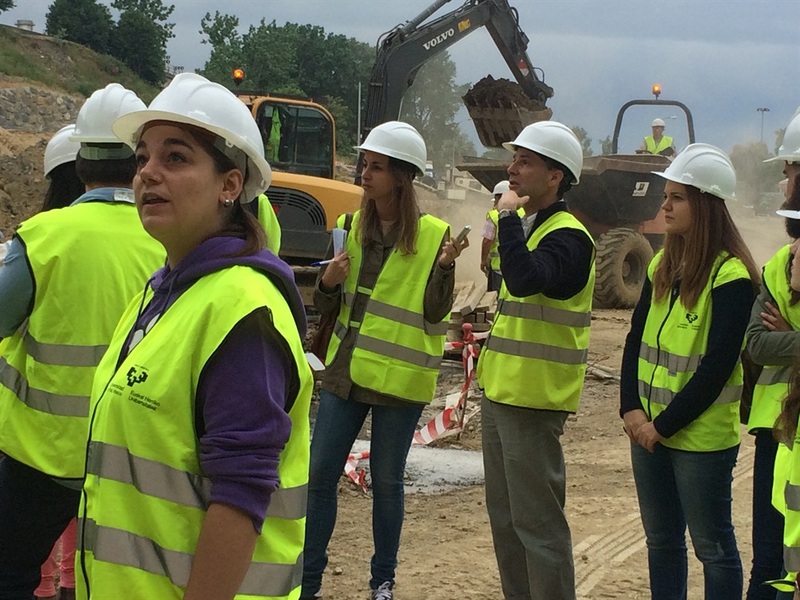 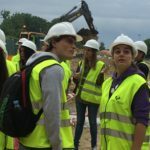 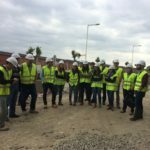 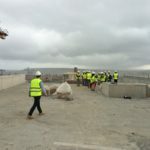 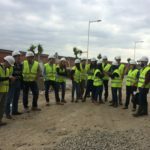 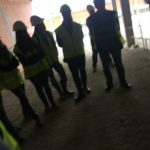 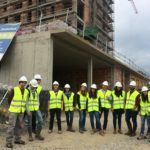 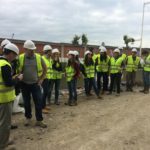 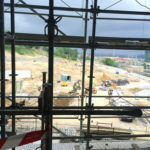 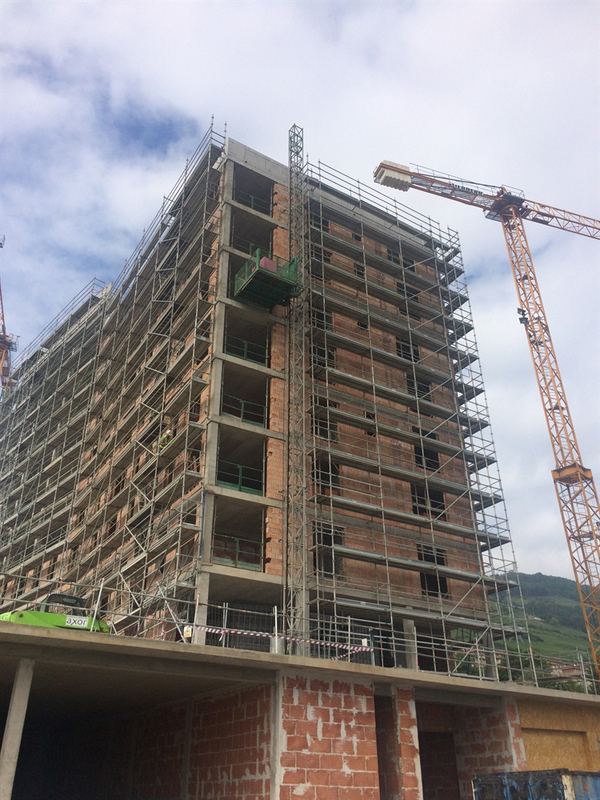 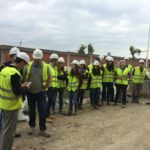 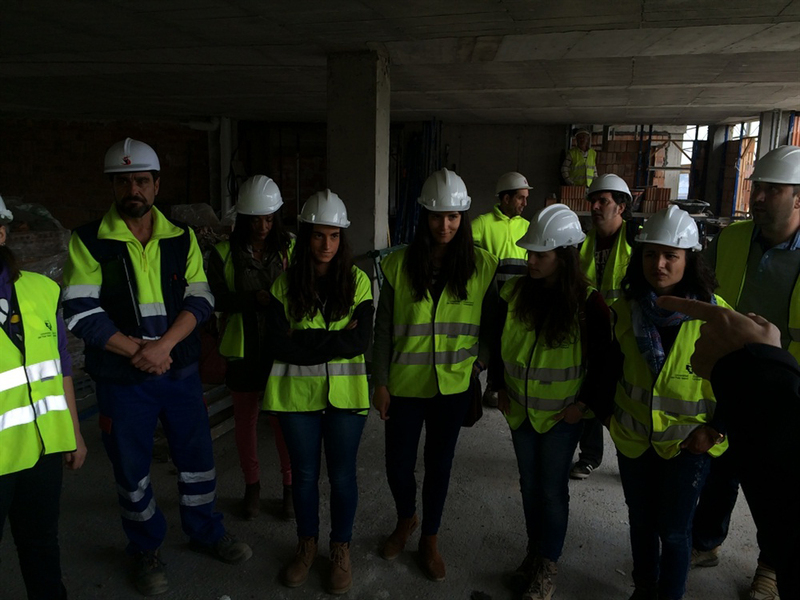 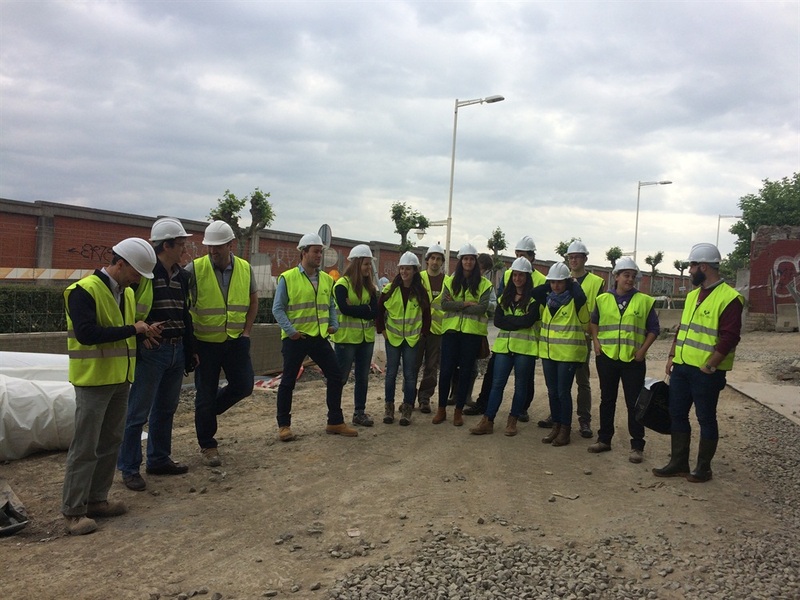 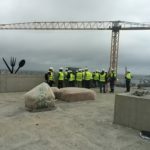 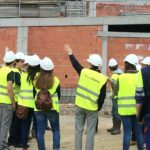 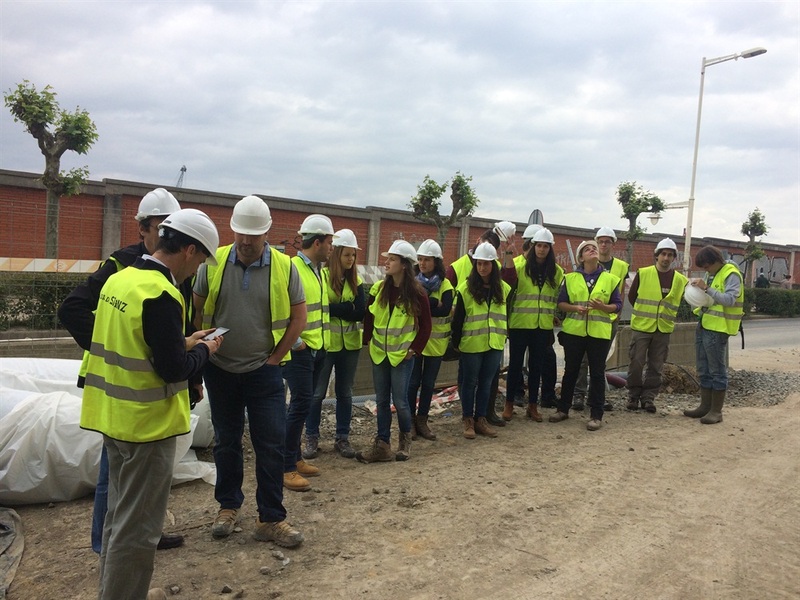 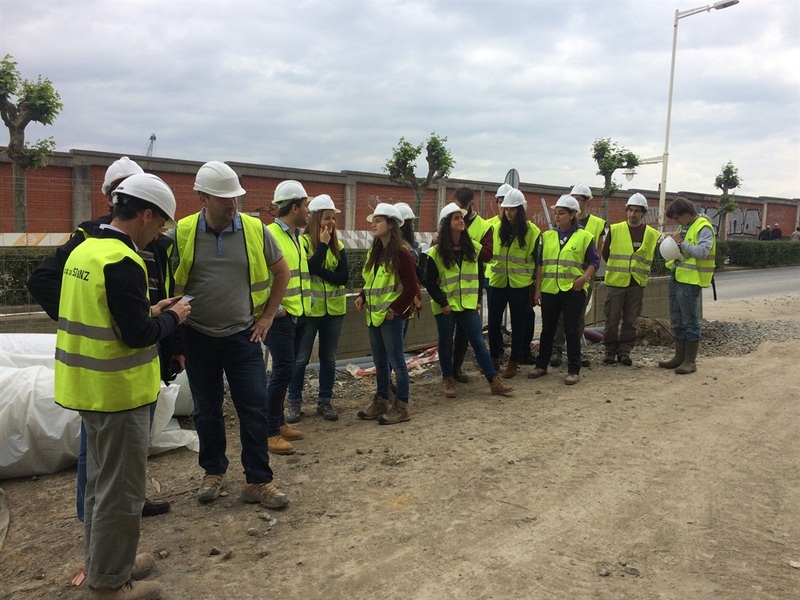 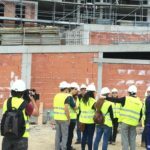 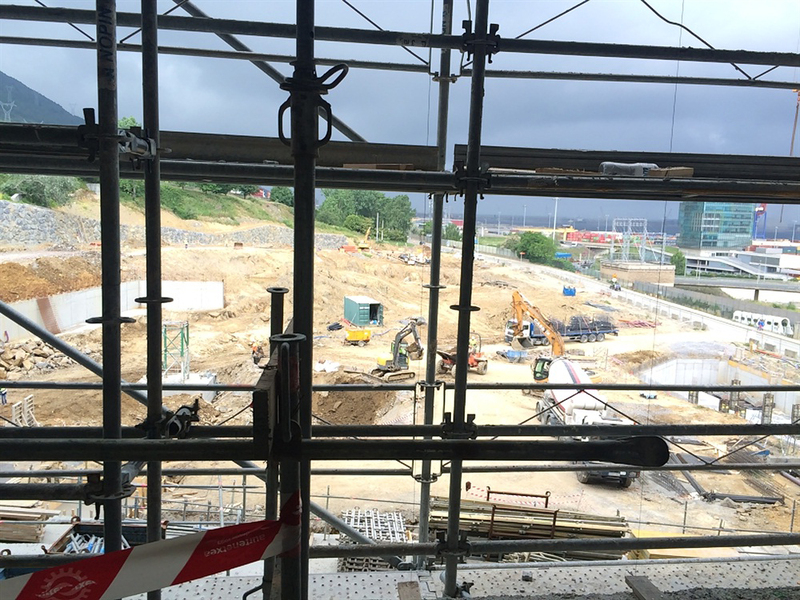 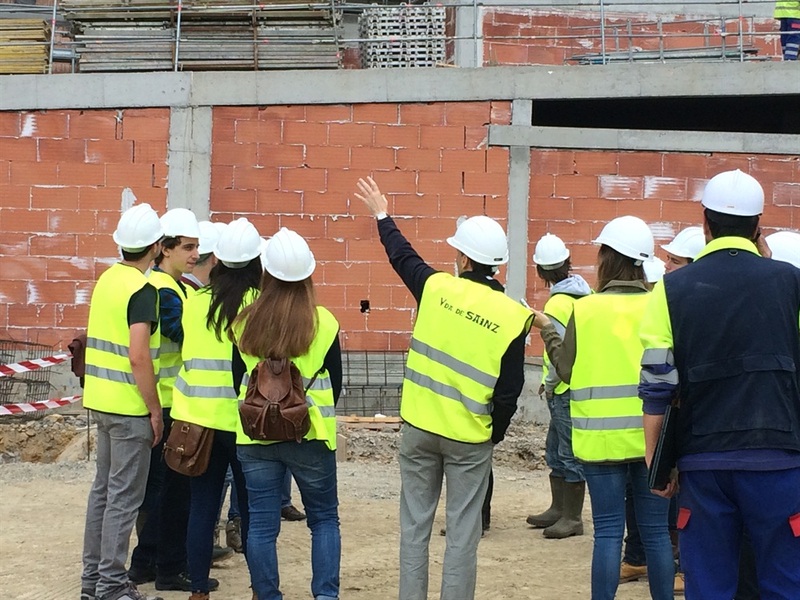 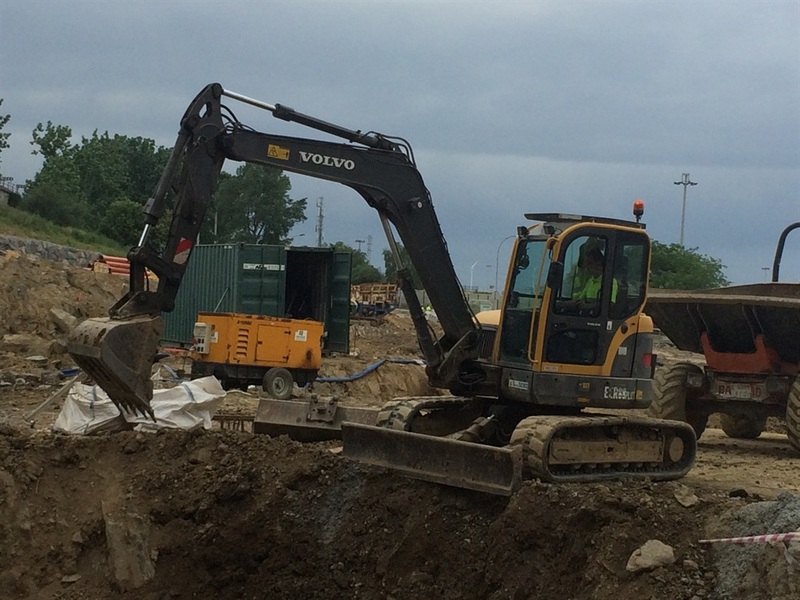 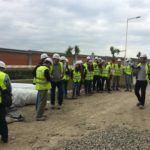 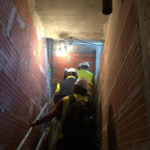 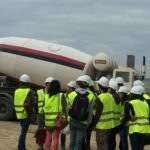 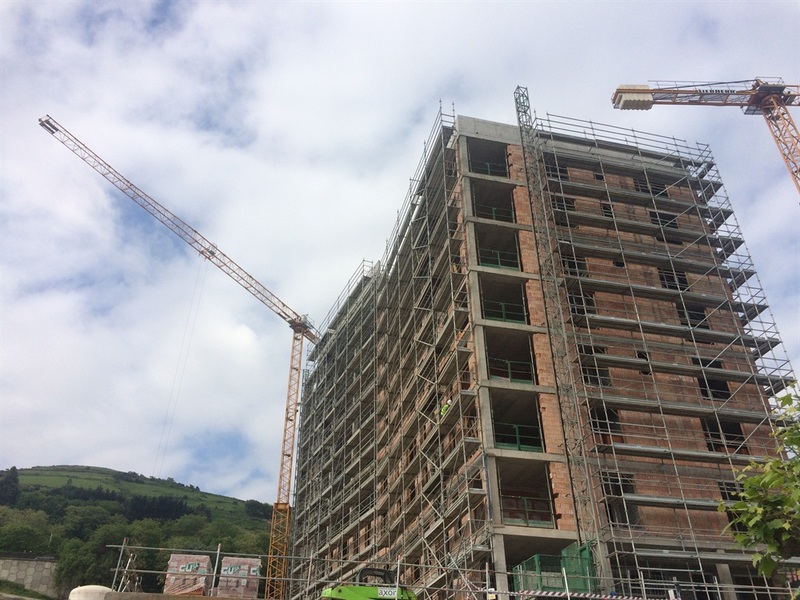 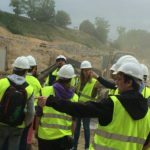 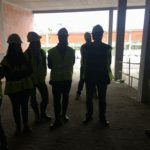 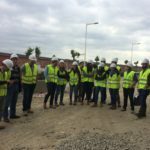 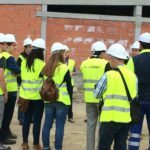 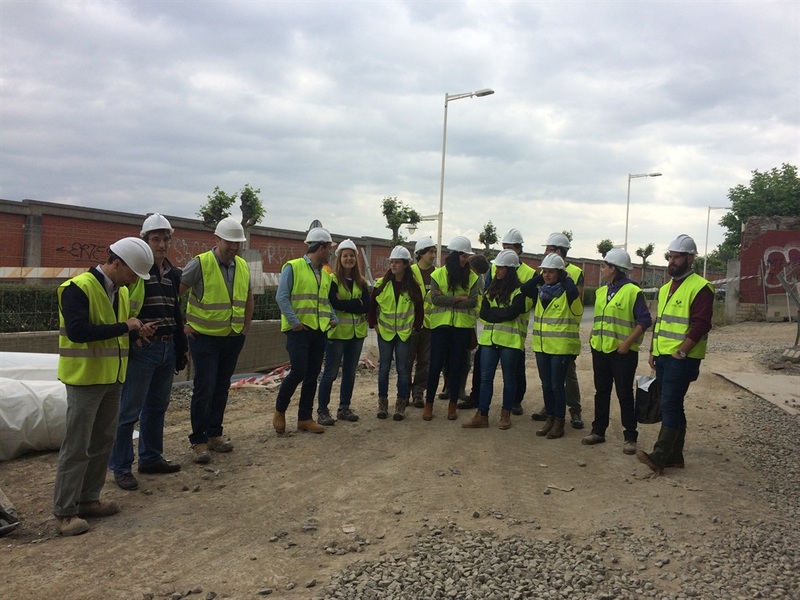 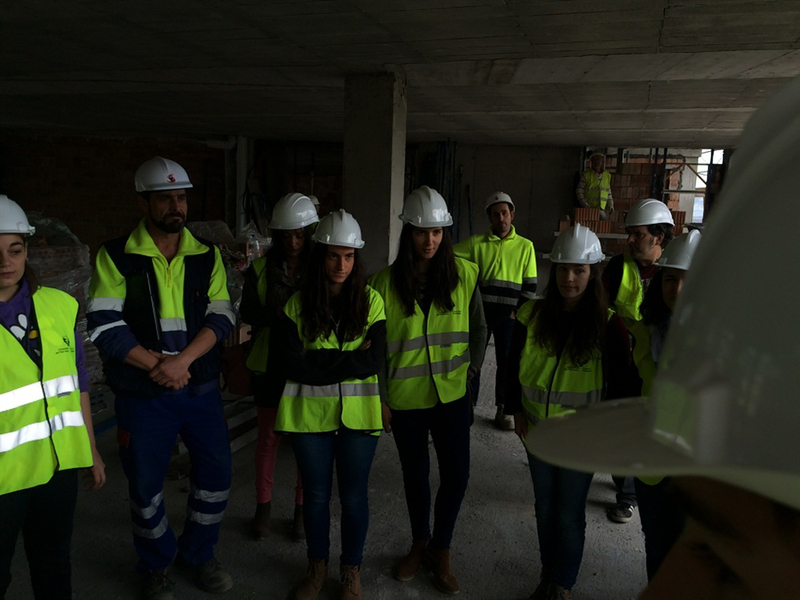 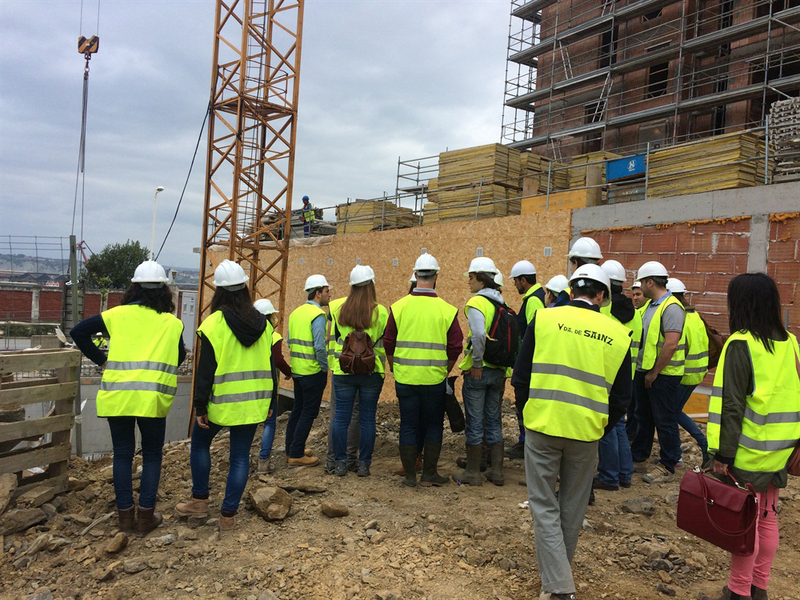 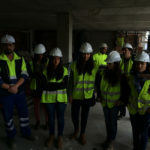 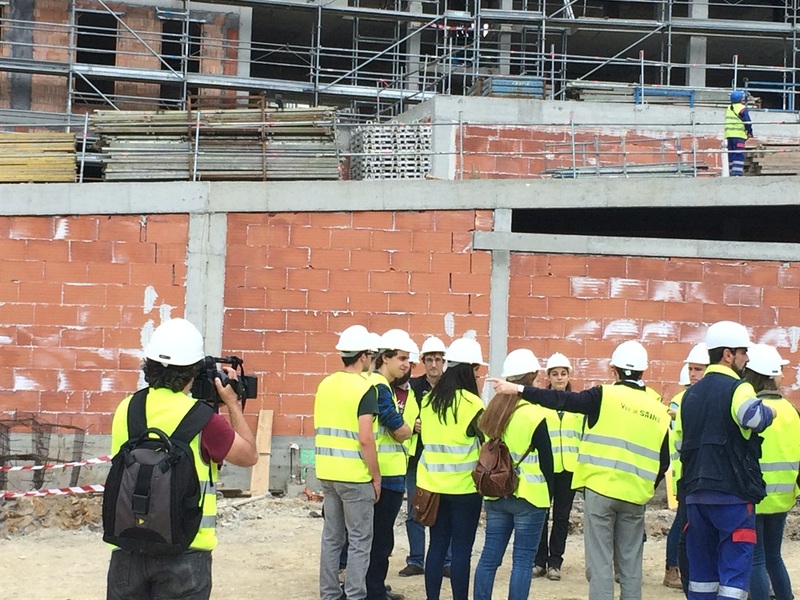 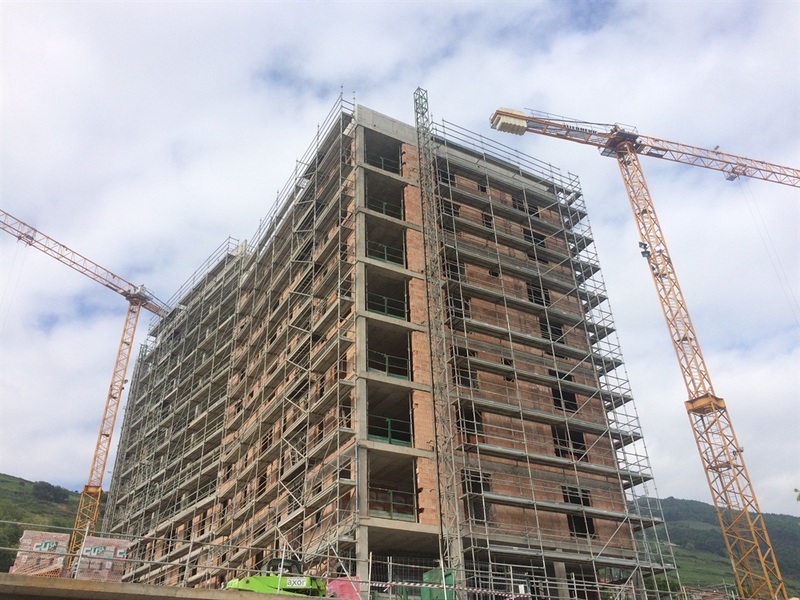 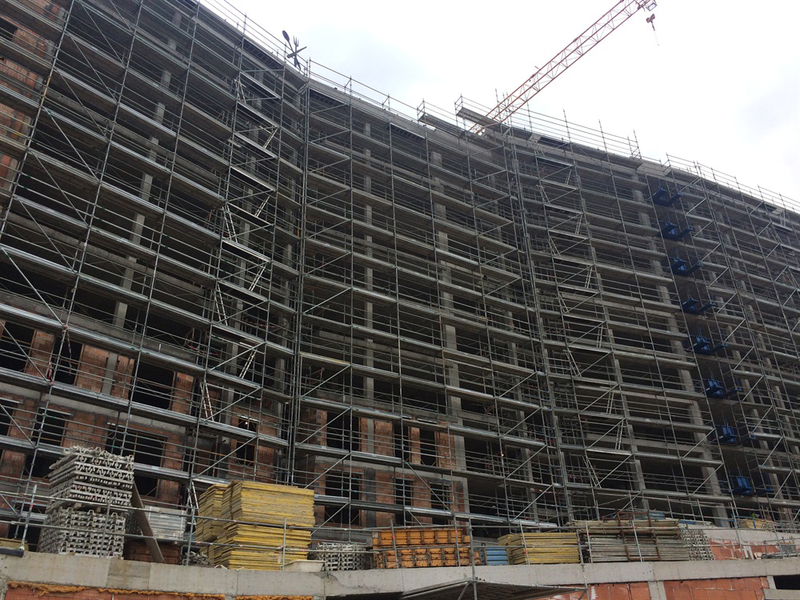 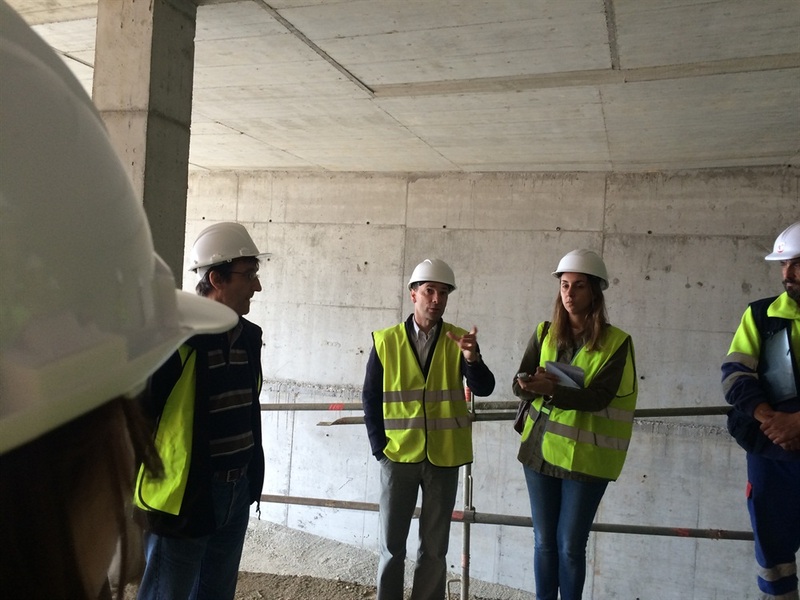 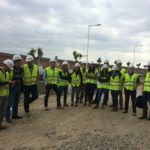 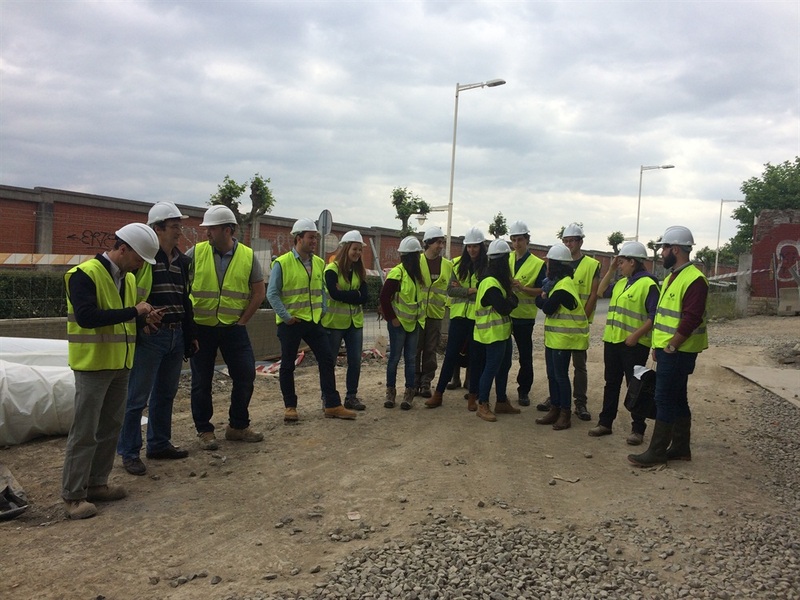 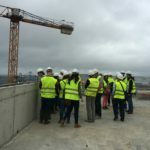 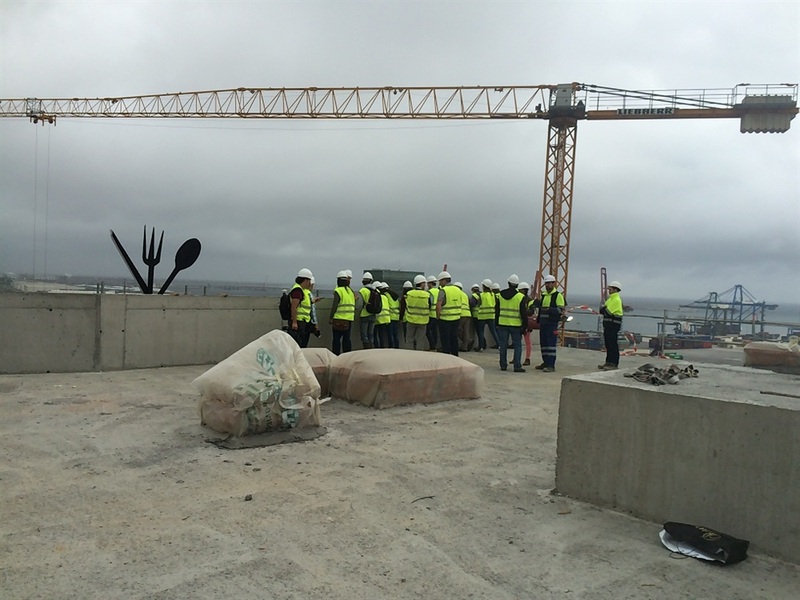 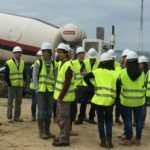 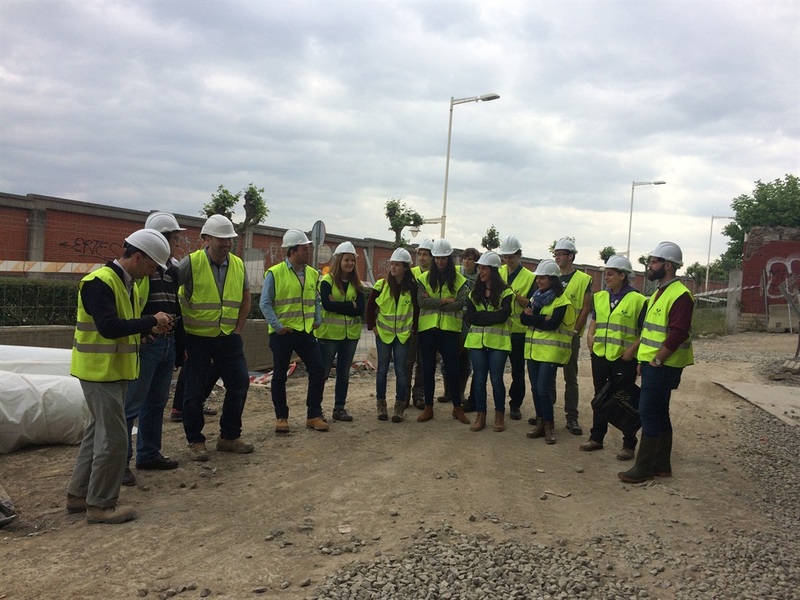 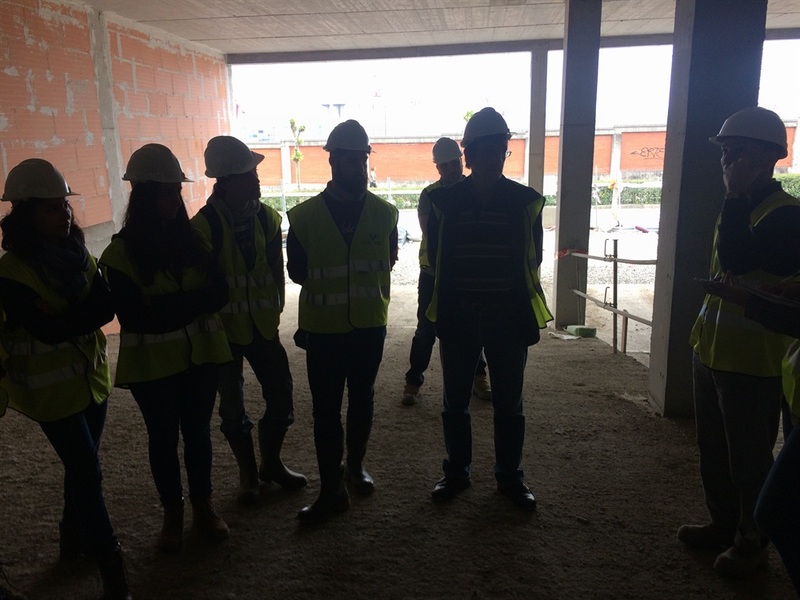 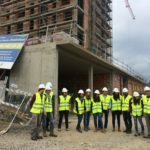 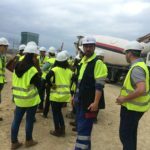 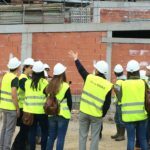 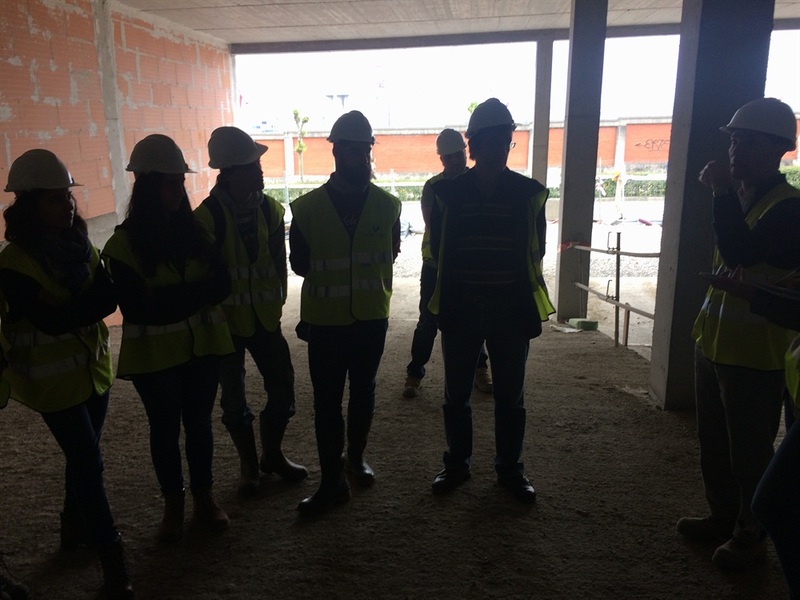 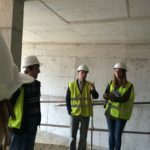 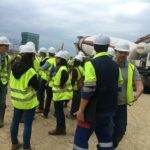 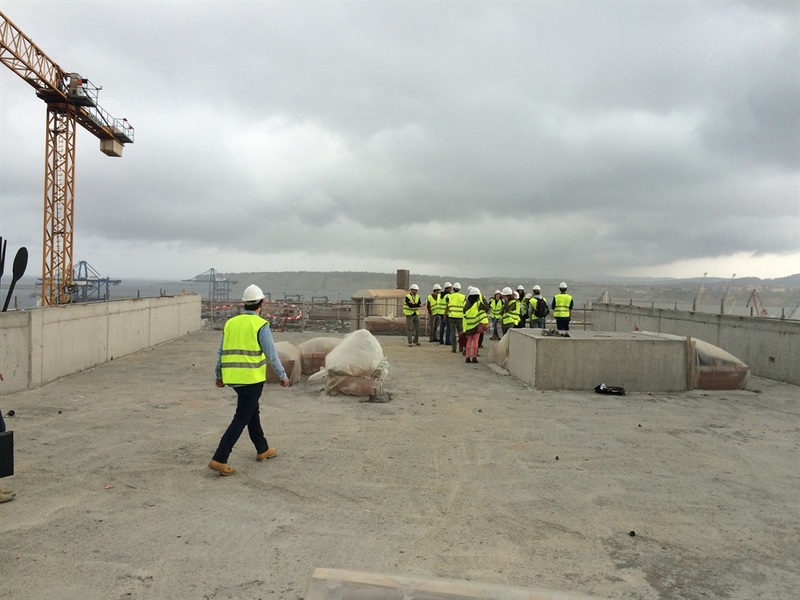 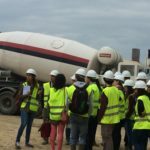 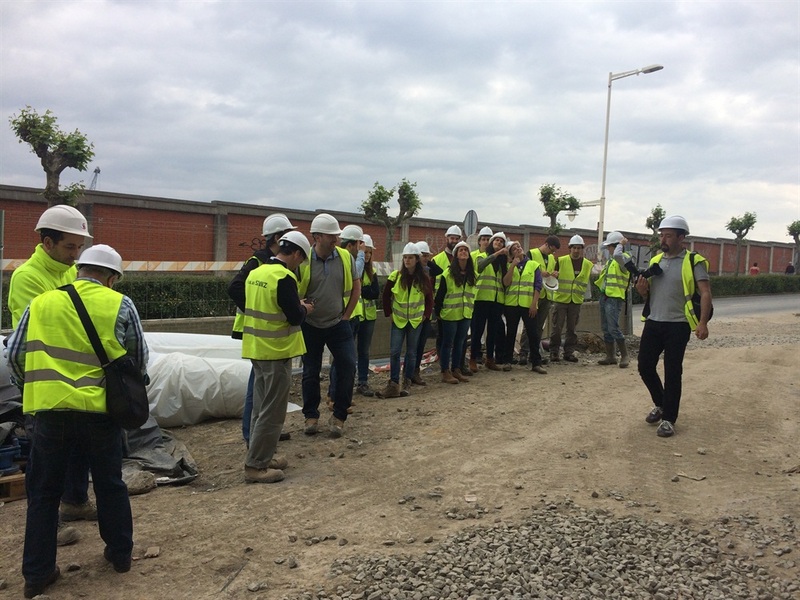 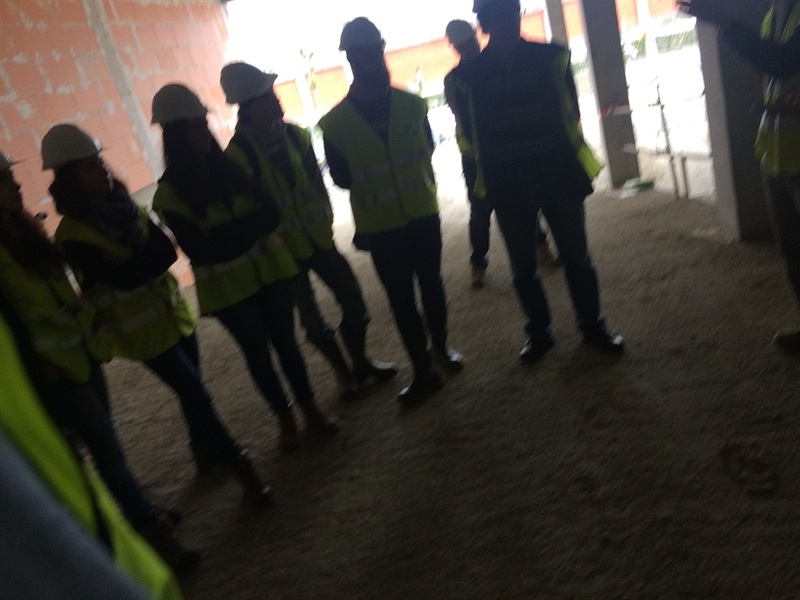 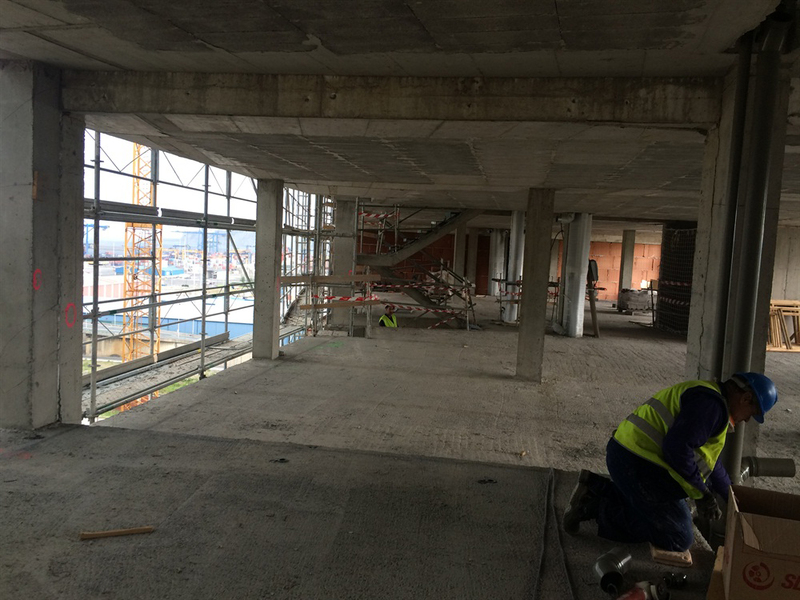 This group of students have seen the different aspects related with the foundation, structure, enclosure, installation, geology and layout of a construction site. 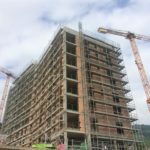 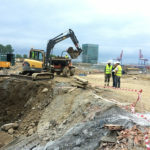 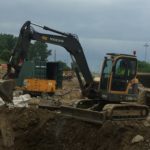 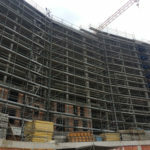 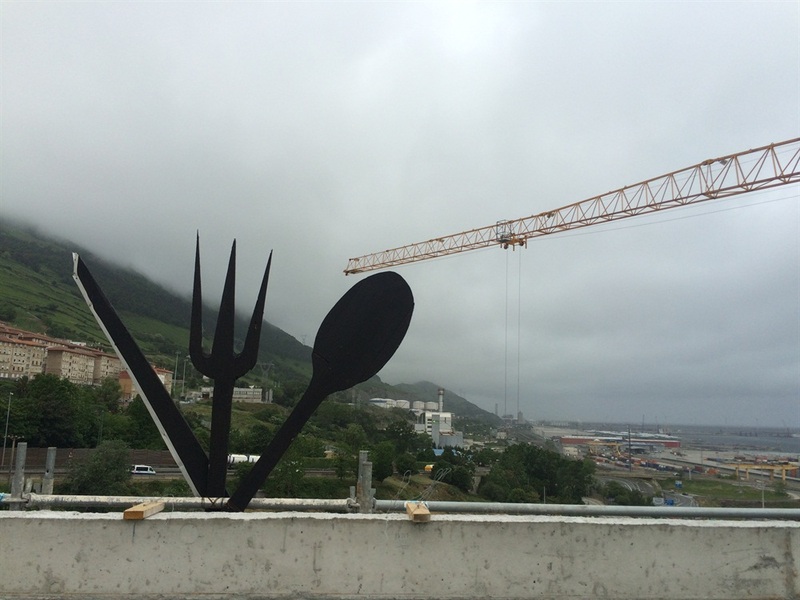 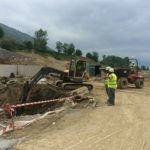 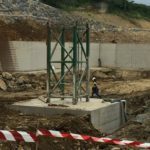 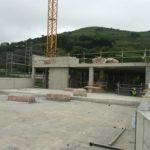 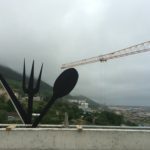 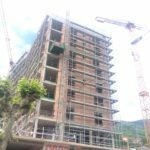 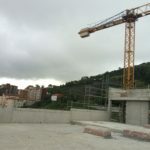 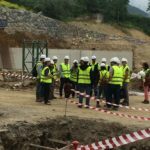 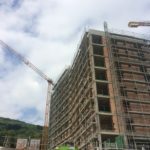 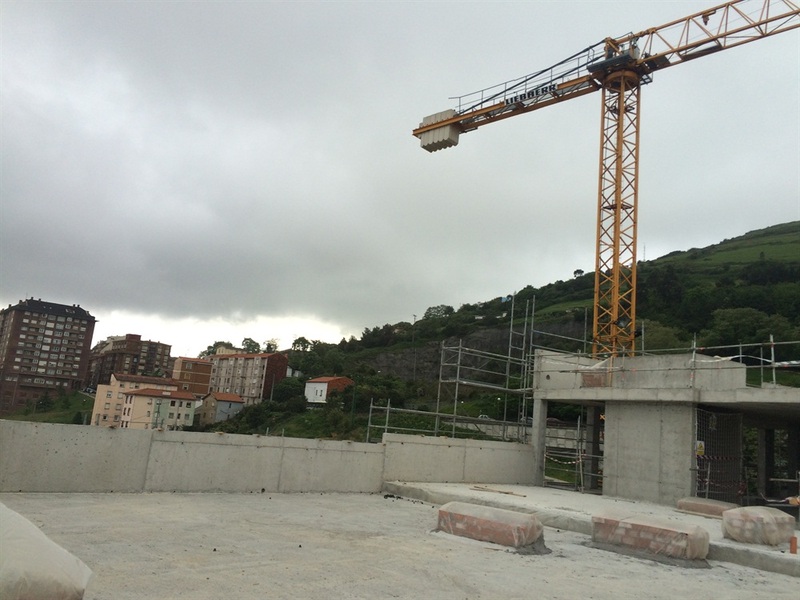 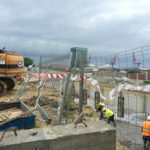 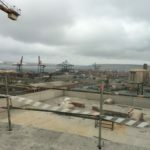 They have seen firsthand the reason for the actions undertaken under the plan of work of the 2nd phase of channeling the Ibaizabal River in the Urbi-Bengoetxe section. 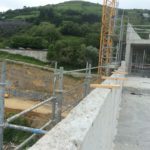 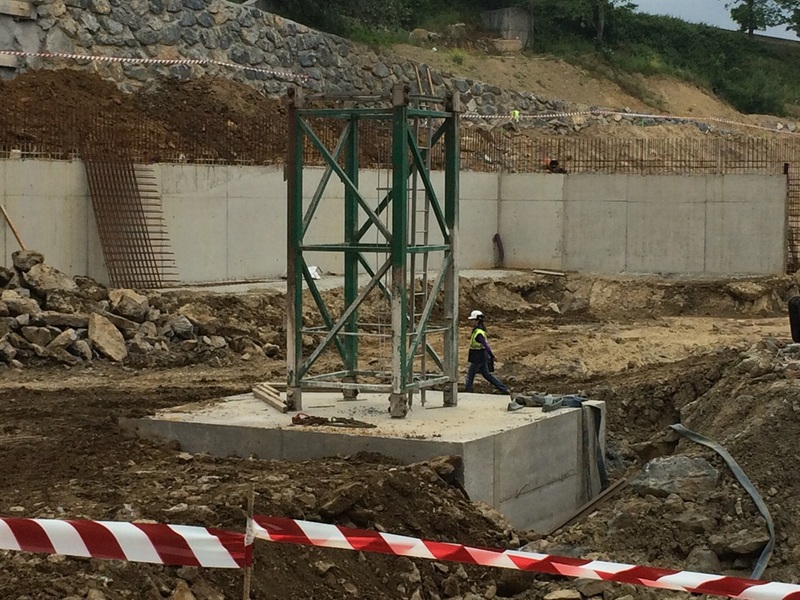 URA is already working on the completion of the replacement of the Urbi bridge, a new milestone for increased security against the floods of Ibaizabal. 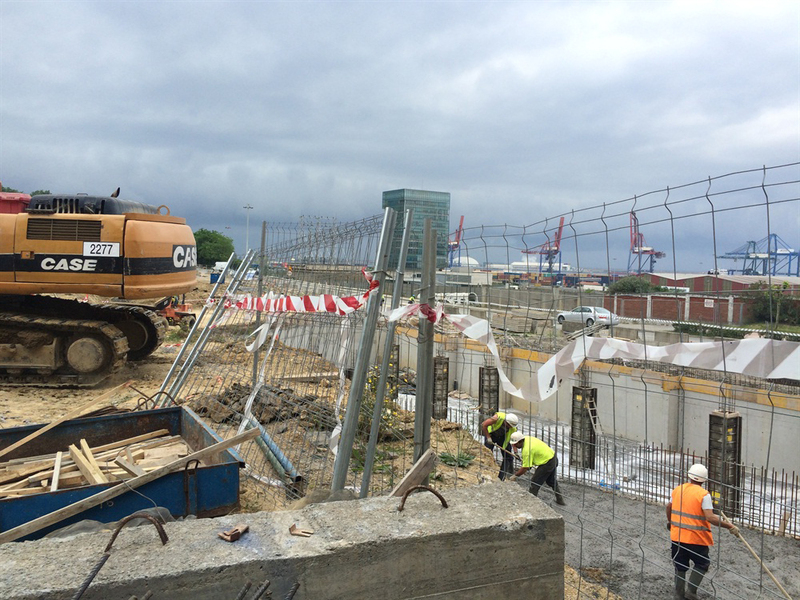 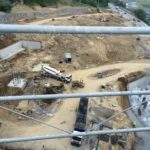 A highlight performance that gives continuity to the actions of this second phase already completed: the recently replaced Bridgestone Bridge and the expansion of the hydraulic section of the ibaizabal River in the section. 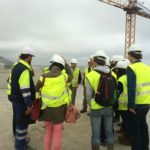 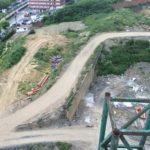 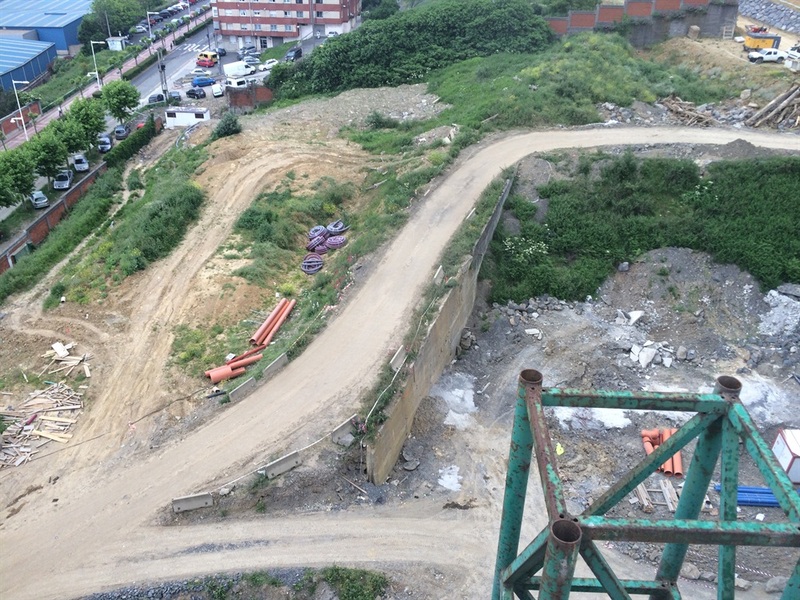 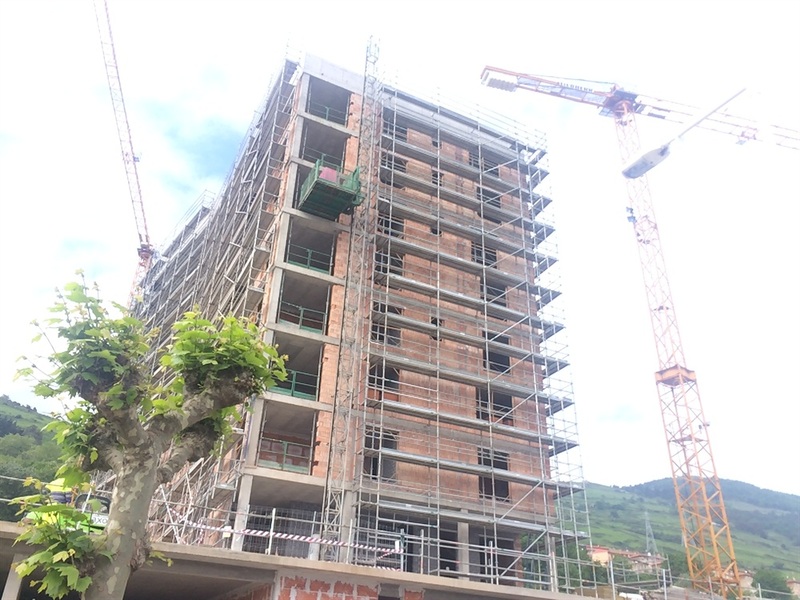 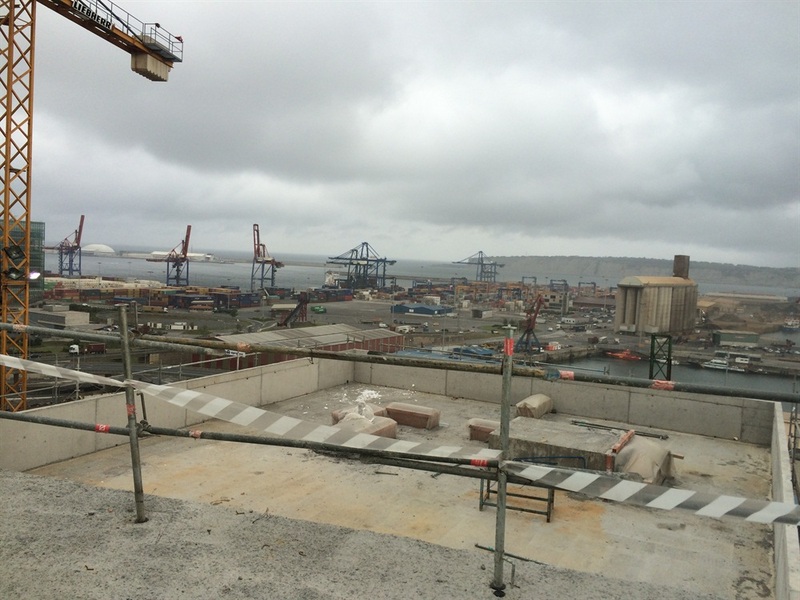 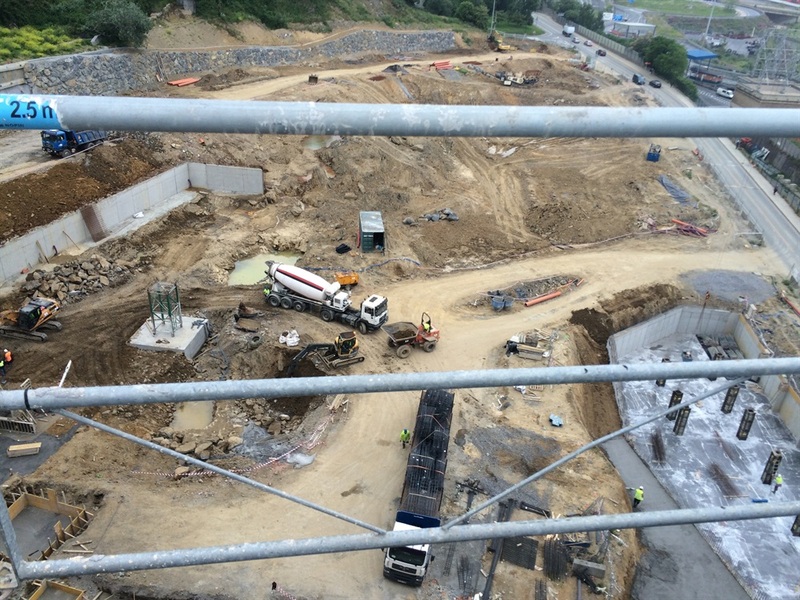 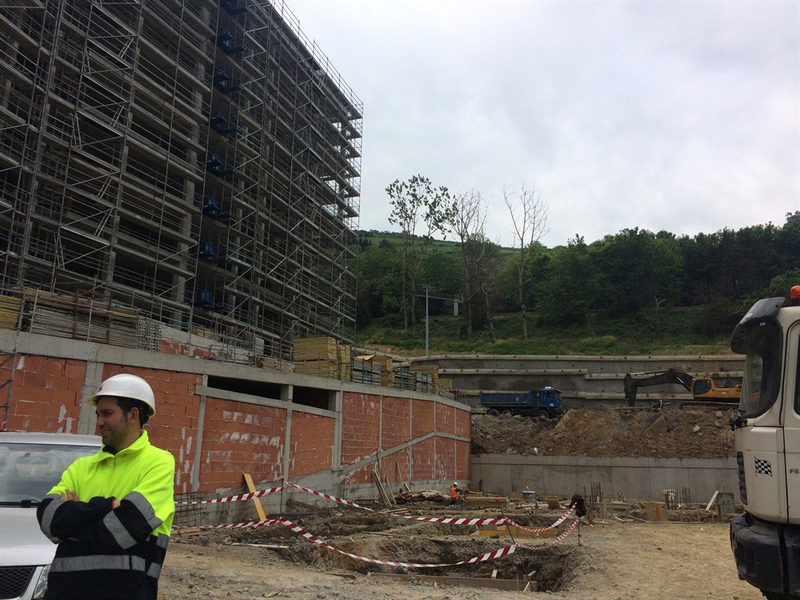 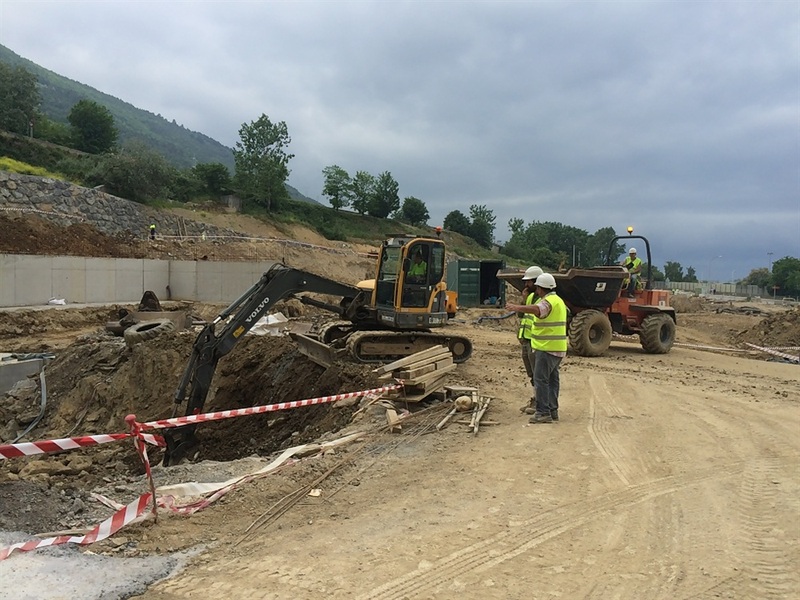 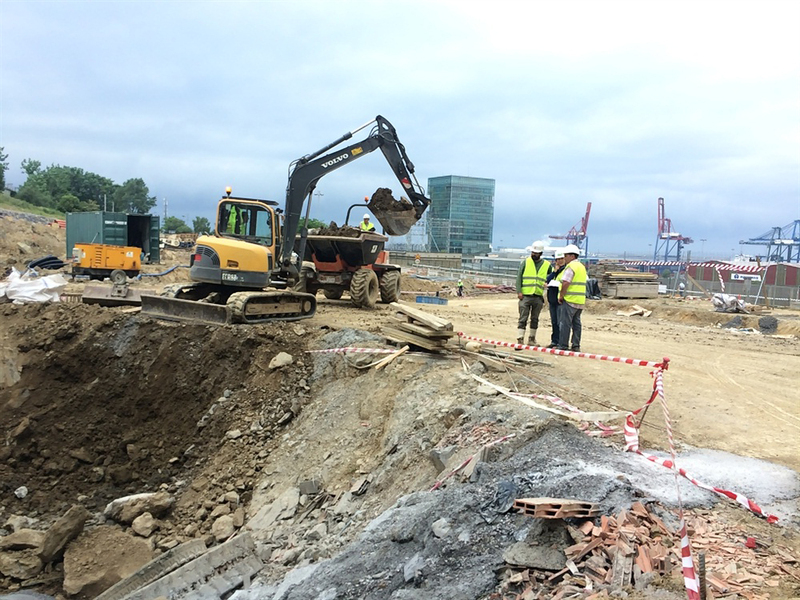 Alvaro San Cristobal, responsible for the works of URA in Biscay has explained to the students that “these actions increase the security against the risks posed by the insufficient drainage capacity of the channel along the industrial areas of Basauri-Galdakao and Zarátamo”. 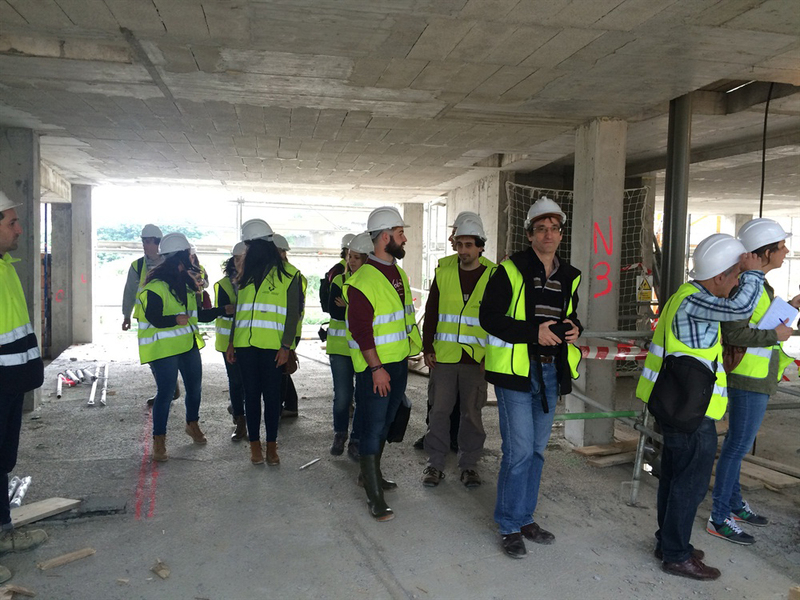 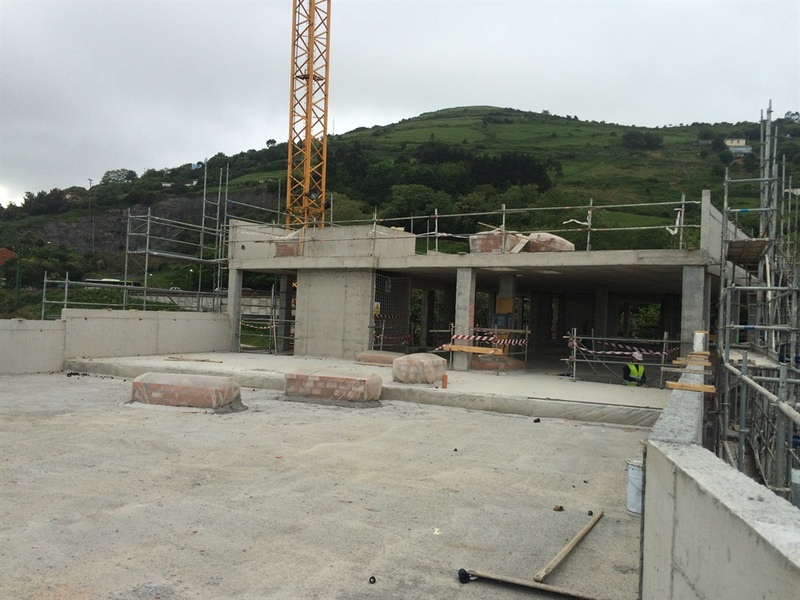 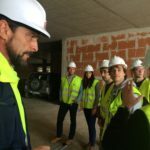 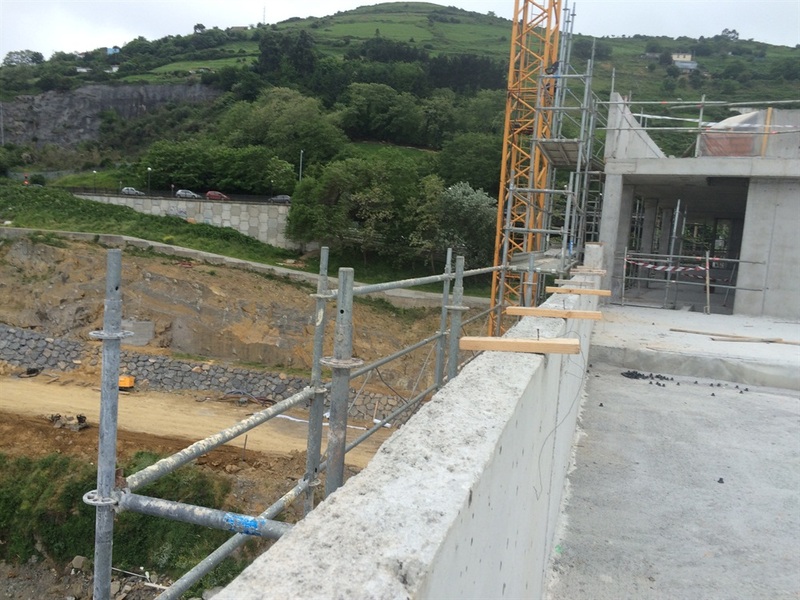 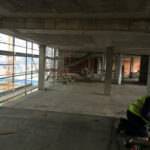 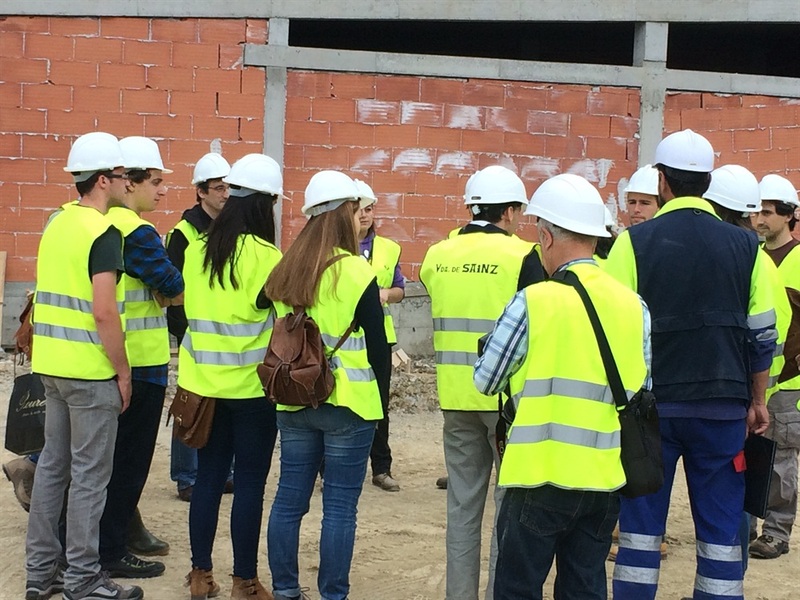 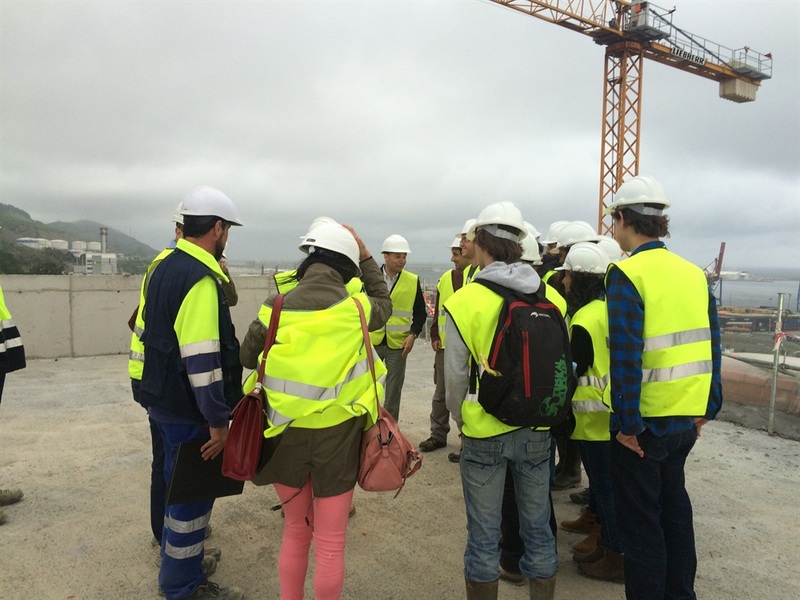 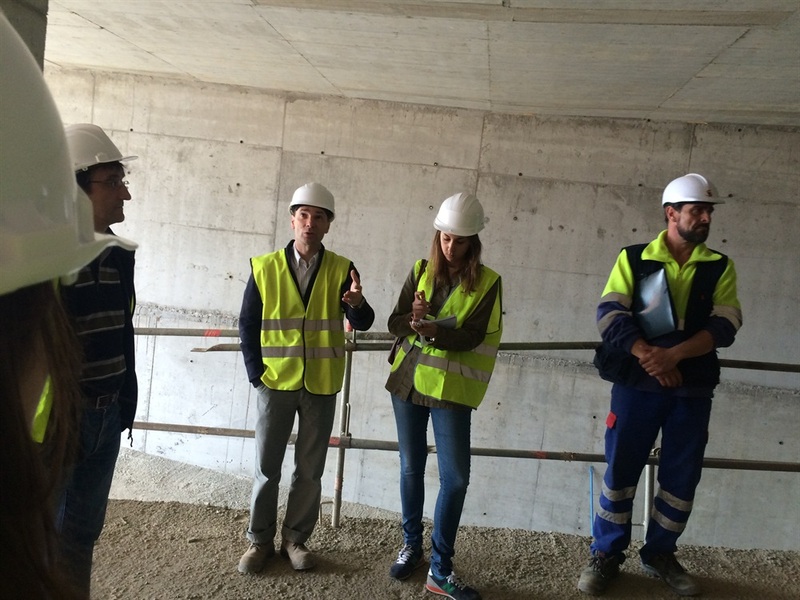 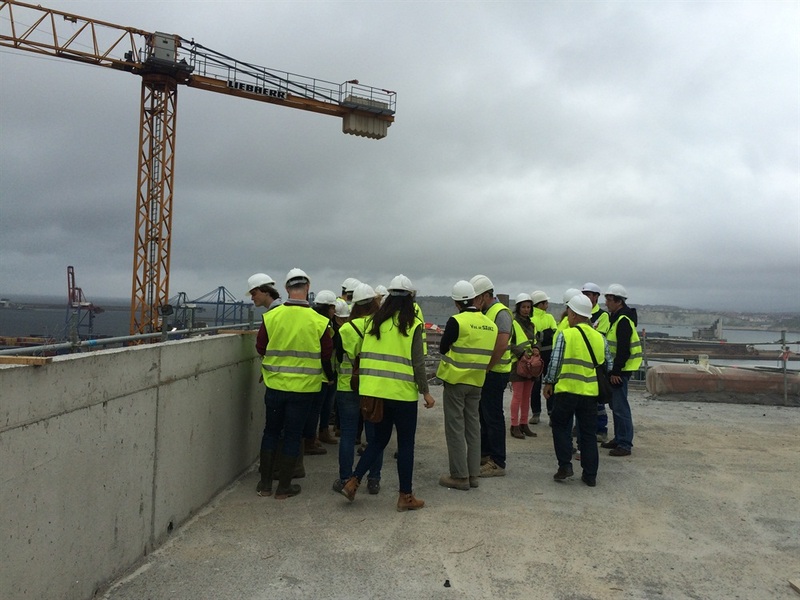 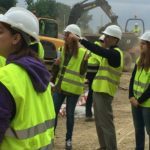 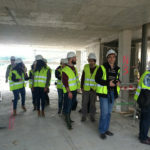 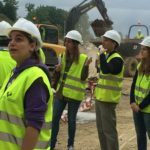 According to Marcos Larrauri, professor at the Basque Country University, “This visit has enabled collate practice the theory on bridge structures and assembly methods with the solutions in the channeling of the Ibaizabal and the group of students has been a complementary experience of the knowledge imparted in the School “. 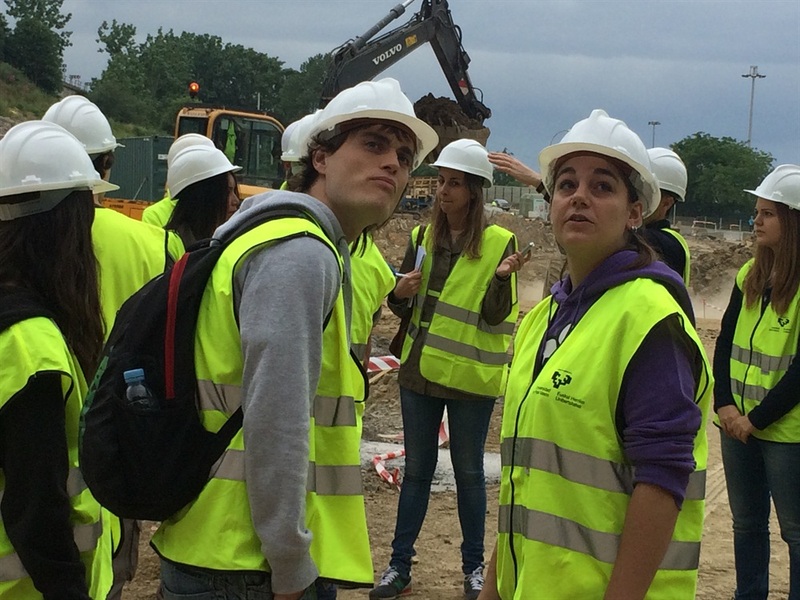 Meanwhile, Eduardo Miguel, representing Vda. 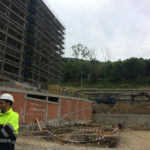 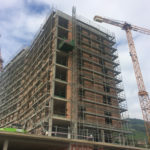 Sainz, highlighted the uniqueness of the project, which “combines the institutional leadership through the Basque Water Agency with a consolidated entrepreneurship, as is the career of Vda Sainz in civil works. 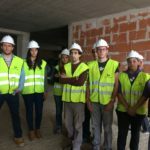 And, completing the circle of cooperation to build a future Basque Country the approach that the Company and institutions should have with the university, in this case with the engineering students of the Basque Country University”.